I’m a “hands-on” kind of mum. And by that, I don’t mean that I have to get my hands into everything my kids are doing. What I mean is, I want my kids to have their hands on the things they are doing. I want them to be kids that do, not just kids that watch. 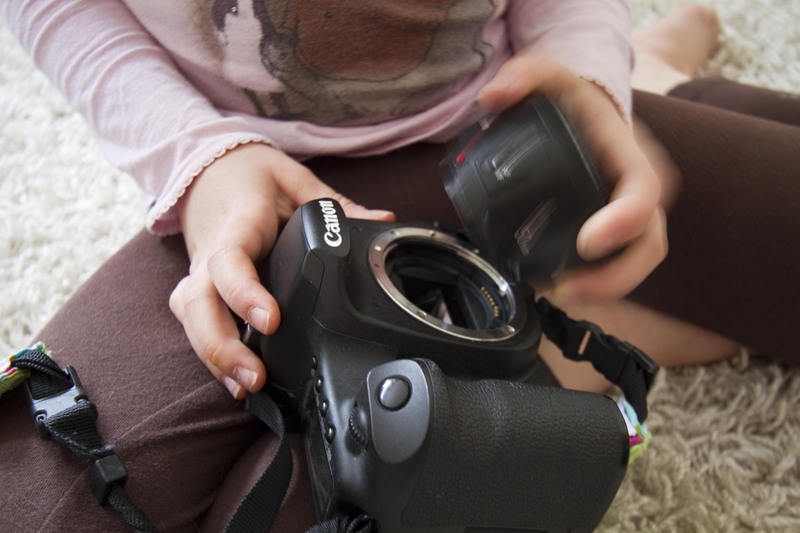 As soon as my children are old enough to handle the weight of my camera, they are taught how to use it. My cameras are expensive, yes. Am I worried they will break one of them? Nope. Because they have learned how to care for them and use them safely. 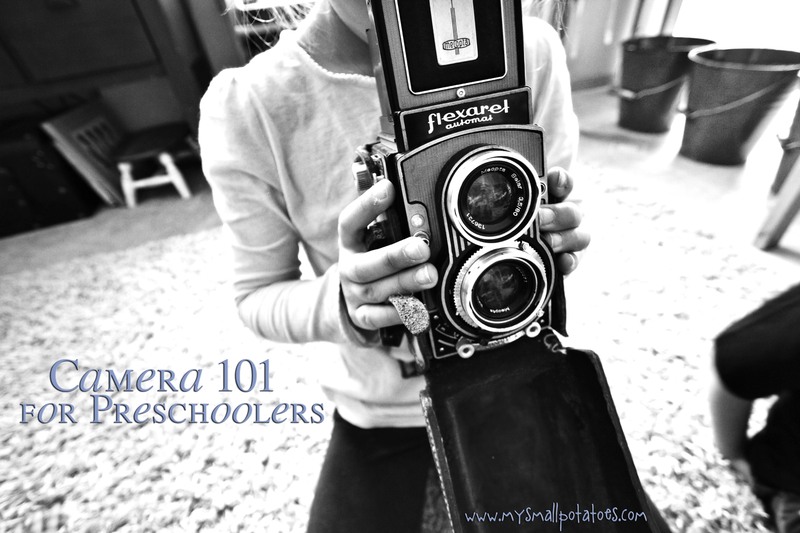 And today, we had a little Camera 101 course with the other preschoolers in my home. They are now all fully qualified to work my Canon 7D. Oh, and are they ever proud of themselves. 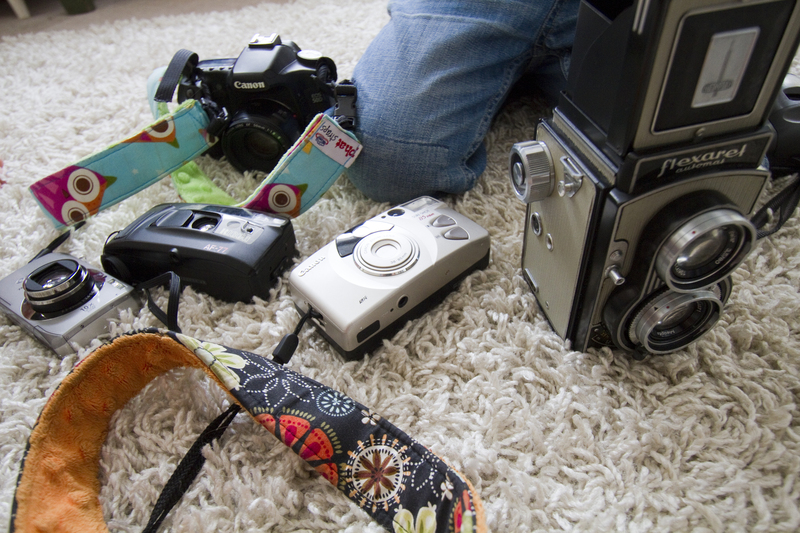 We started out with a variety of cameras. We opened them up, turned dials, pushed buttons. We had “point and shoots”, Digital Single Lens Reflex (DSLR) and a Twin Lens Reflex (TLR).We found similarities between each type of camera. They each had a lens. Some of them had lenses that could be removed and changed. This started a whole discussion about refraction of light. They remembered seeing the same phenomenon in the water beads, and in their cereal spoons. And EVERYONE had to see everyone else’s eye through the lens. 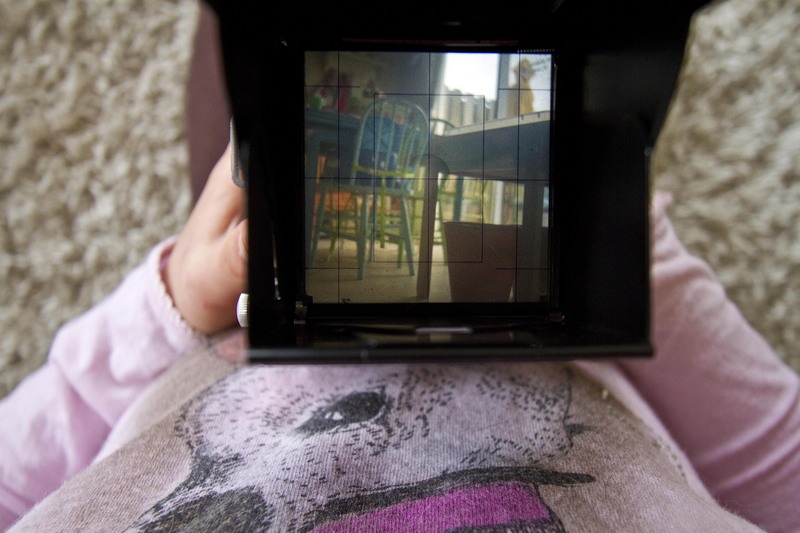 While peering into the box, they soon discovered that you had to move in the opposite direction of the actual object in order to frame the object in the viewfinder. This blew their minds! It was so fun to watch them try to adjust to a different “reality”…they caught on quicker than I did as an adult when I first got this camera! Swinging the lever dial from side to side, watching the image come in and out of focus, was just too much fun. It was like magic. I showed them inside the camera where the mirrors are. 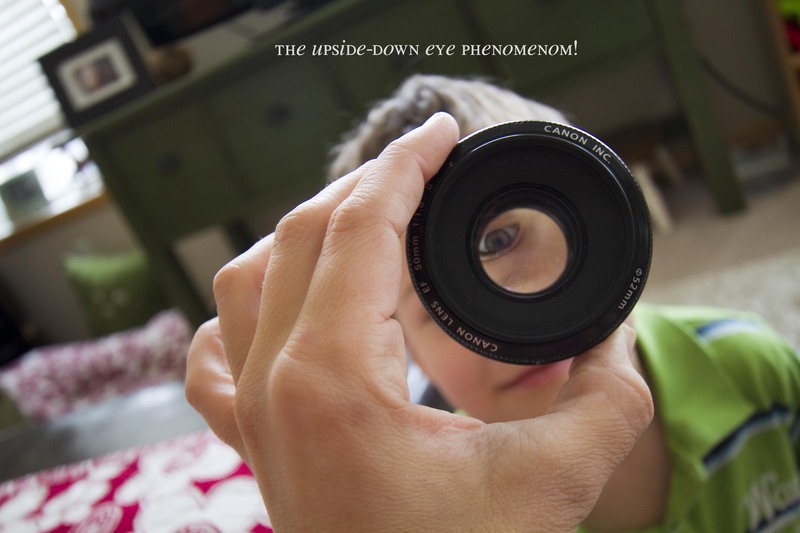 I explained to them that the “click” sound they heard when they pushed the shutter was actually the sound of the mirror inside shifting to reflect the picture onto the sensor. They were fascinated by the fact that the digital point and shoots actually have a recorded shutter sound that you can turn on and off. 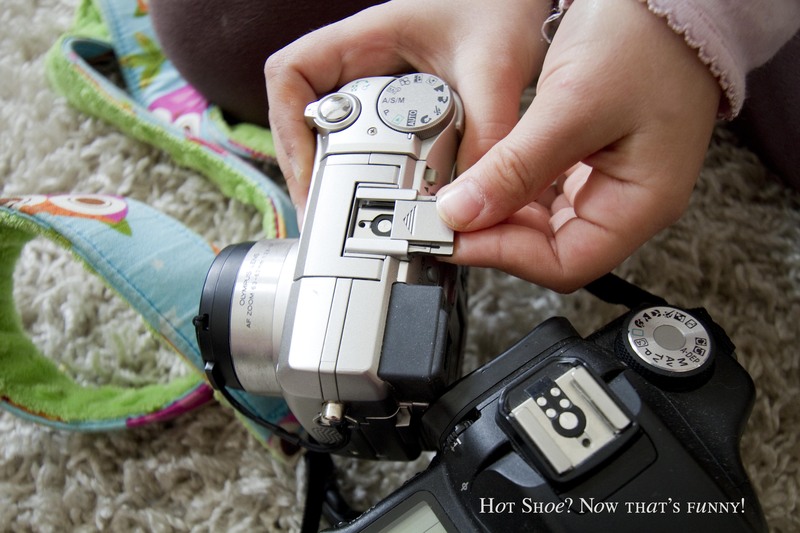 The funniest thing they found out about cameras is that some of them have hot shoes! The place at the top of the camera where you can attach a flash unit. You can imagine the imagery going on in their heads before I explained it to them! And just when they thought things couldn’t get any weirder, I showed them a roll of film. Hehehehe. It was like an ancient archeological artifact! 1. 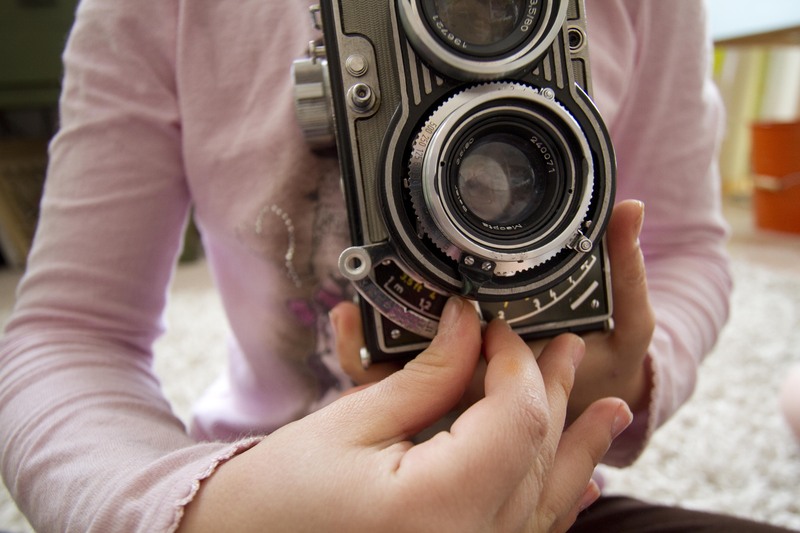 Always wear the safety strap around your neck or wrist when holding a camera. 2. Never touch the glass part of the lens. 3. Always put the camera down gently when you are finished. 4. Always use 2 hands. 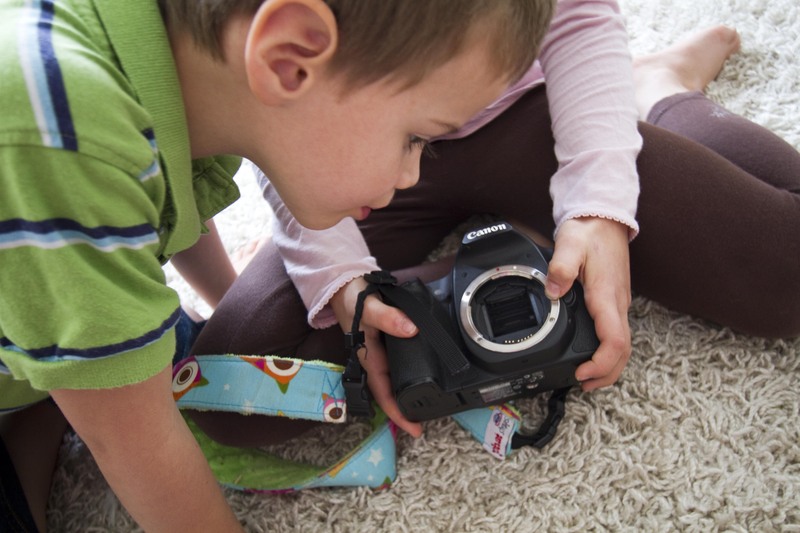 They took turns taking photos of things in the house with each camera, and each child was careful and respectful of all the equipment. And did they ever feel capable and important. Which really, was the whole point of the exercise. Today was the kids’ turn for a tutorial. But keep an eye out parents, because soon it’s going to be your turn! 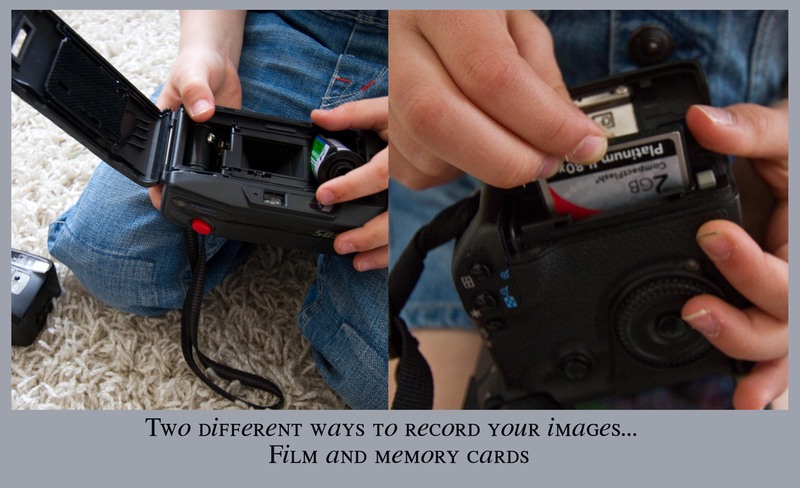 Coming soon to Small Potatoes…a quick tutorial for making better photographs with the camera you already use. Stay tuned! I gave my son a proper “grown up” camera for his 3rd birthday. I wanted him to have the real deal, not a toy. He loves taking photos and we can look back each week at what we’ve done together through his pics. As for the grown up tutorial, I second what Crystal said! I can’t wait. I received an SLR for my birthday but I haven’t used it yet. Still using my iPhone for all my pics. Your tutorial might inspire me to finally have a go! I have just found your blog and LOVE this post! 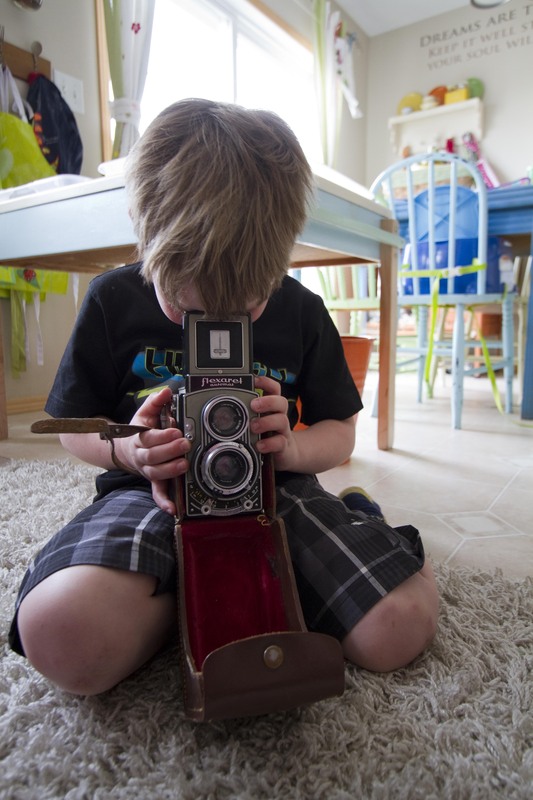 My son is nearly three and wanting to learn to use my camera. When you say preschoolers, how old was the youngest that you taught? I love the four rules that you all came up with too. Just perfect. Thank you! And the youngest was just about three!! Sounds like your little one is at just the right age! Have so much fun! !